Oh my goodness, the video you are about to watch is frightening. This is so against the practice of eating naturally. There is certainly nothing natural about eating vegetables that have been sprayed, injected and dyed. Have you ever experienced that tingling sensation in your mouth and on your lips when eating fruit and vegetables? That is chemicals that you should not be ingesting. It would be fair that you are ingesting toxins. I am off to have a snack and it is blueberries that are very healthy. First I am going to enjoy getting my glass bowl; placing in the fruit and covering it with ph 11.5 ionized water; leaving it for 3-5 minutes. If you have a colander you can put them in that first and then into your bowl. Use immediately or you can place in the refrigerator for up to 6 hours. As fruit and vegetables take up the chlorine you cannot use a water supply with chlorination to clean your fruit and vegetables. You lose water through your breath, sweat, and urine throughout the day. Sweating is the body’s natural cooling mechanism, but when you fail to replace the water lost through sweating, your body cannot perform at optimal level. This is why it is important to be acutely attentive to your water intake levels while in the sun or exercising. While it is common knowledge that you should hydrate during rigorous exercise, there is little known about staying hydrated during your day-to-day tasks. Don’t underestimate the possibility of becoming dehydrated while working, taking care of the kids and running errands. Even though you may not see the signs of losing water, your body must have the recommended amounts of water per day to stay hydrated. Dehydration occurs over time, so the best solution is to drink plenty of good, clean water throughout your day. It is important to know the early warning signs of dehydration so you can stay ahead of this serious problem. Research and learn them so you can detect dehydration in yourself, your friends and your family. Thirst is not considered an early warning sign. If you are feeling thirsty, you may already be dehydrated. It is best to know how much water your body needs on a daily basis and try to always meet or exceed that amount. Only water can keep you properly hydrated and allow your body to function at an optimal level. The key is to find clean, hydrating Kangen Water®. When you choose to hydrate using bottled water, you may be adding extra fluids but you will be missing out on many natural minerals and nutrients that are often lost in the purification process of bottled water. Tap water is a better choice than bottled because the natural minerals and nutrients remain intact, but this is often accompanied by substances that seep into groundwater and can be absorbed into tap water. You can trust Enagic’s unique filtering process to provide clean, natural water, which removes chlorine, and other pollutants. We tend to drink more water if it is readily available. Keep a glass or reusable container full of Kangen Water® near your desk and you’ll find yourself absent-mindedly drinking it throughout the day. Kangen Water® tastes clean and pure, making it easy to stay hydrated all day long. Check it out. I guarantee this video will have you in stitches. Also Water Vs Soda – You will never drink soda again! 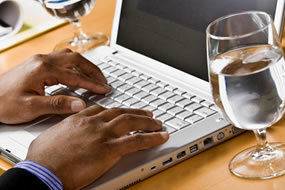 I am back to writing having been out to the kitchen and switched over to get my Kangen 9.5 water to drink. We are doing our bit to save the planet and not buying plastic bottles of acidic toxic water. But this is not about my drinking habits it is about educating you that drinking soda is bad. Very bad! There is coming up for you a compelling demonstration of what soda does to your body. One glass of soda needs 32 glasses of our water to neutralise it. If you are a numbers person you will be interested in this. If you drink 2 glasses of soda a week (yes a week) you have a 78% risk of developing prostate cancer. Seeing is believing. If you are concerned about your health drinking quality water from our water machine is the simple answer. I am very upset that our water is to be chlorinated. I am heartened, however, that our water machines remove Chlorine. Watch this short video to reassure yourself that buying a Kangen Water machine is a no-brainer. Do you know what happens to your organic vegetables when you put them in chlorinated water? Do you go to the effort of buying organic fruit and veggies? Congratulations if you do as there is clear evidence toxic chemicals are extremely bad. You have heard of the dirty dozen – that is the list of fruit and veggies that have the highest levels of toxins retained in them. Today I am more concerned with what you do with your organic veggies when you bring them home. If you watch this demonstration you will see what happens if you put your organic vegetables in chlorinated water. Its only 1-minute long so you will be able to see for yourself. I know that our Kagen water machines are the best investment you can make to protect your health. I really enjoyed seeing this photography by Alexey Kljatov. These are his up-close photos of snowflakes. They are incredibly fascinating and I first saw photos of snow crystals when I purchased a book by Masaru Emoto “The Miracle of Water”. Masaru is a New York Times Bestselling author. I was incredulous of his commitment to the task. Masaru Emoto photographed thousands of water crystals throughout his years of research. A very thoughtful book as it includes new and extraordinary water-crystal photographs. He gives us some very convincing reasons for us all to choose positive words and strive for gratefulness for a more healthy, peaceful, and happy life. I love that I am always striving to be positive and I love this quote by Neale Donald Walsch, author of Conversations with God (must add that to my list of good books) “Masaru Emoto’s work is elegant and astonishing and jaw-dropping in its implications. And to finish as I really must read this book now “Dr Masaru Emoto’s contribution to research in spiritual consciousness is positively masterful.” Caroline M. Myss, author of Sacred Contracts and Anatomy of the Spirit. I was delighted to see this morning this little video. We can SAVE THE BEES. Very simply we need to do what we love and plant the plants mentioned. Protecting the honey bee is vital for our planet. You cannot underestimate what you can do. So get planting lavender, borage calendula, sage, snowdrop, poppy, sunflower, aster, thyme …. there are many to choose from. Make this your mission and let’s all do what we can to SAVE THE BEES. A Message for the Entire World! It is the time we the common people voted with our purchases. If we stop buying products that are harmful or the business has bad business practice it will bring change. Show the world what we want and care about. This video gives you a clear message. If you want to connect let’s do it! In this world, I believe it is the small things that are the big things. We can all make a difference in this world. Yes, we just have to think about what we can do to make one person’s life better. Tomorrow, we think again what can we do today to impact someone’s life. Day after day – we can help others in need. Here is an example in this video. If you want to connect please comment and look me up on social media. You are sure to find me. On a mission to transform lives.